The iconic metal men prove why they're "too heavy for halftime"
For most bands, playing the entirety of “The Boys Are Back in Town” by Thin Lizzy as your intro music would be something akin to overkill. 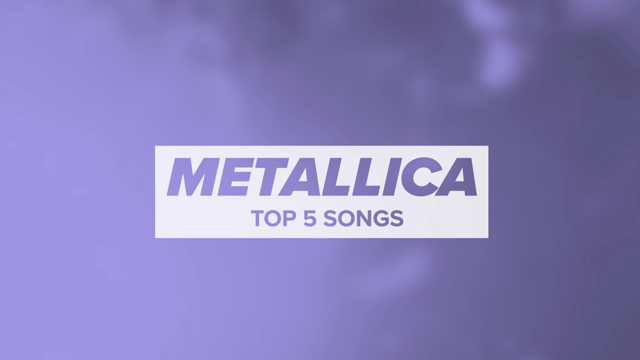 Of course, Metallica is not most bands. The sheer euphoria that erupts across AT&T Park when James Hetfield, Lars Ulrich, Robert Trujillo, and Kirk Hammett do take the stage is deafening. These are performers who live for their fans, a point Hammett reiterates to me when I speak to him ahead of the show. All the evidence you need to back up Hammett’s claims is packed into a Muni train heading towards AT&T Park. Crusty, old Metallica fans stand shoulder-to-shoulder, swapping war stories and wearing tour shirts from the ’80s. I hear one man refer to the opener as “Crap the Elephant,” uniting his fellow concertgoers in the long-held belief that they must hate whoever opens for Metallica on principle. When Cage the Elephant actually does take the stage to open the show, they are met not with boos but kind indifference. The crowd is too excited for the first headlining show Metallica has played in their hometown in a number of years to give Cage much energy. Lead singer Matt Schultz does his best to entice the crowd, jumping offstage and singing into the mass of fans at the barrier for “In One Ear”, but the response is tepid at best. There is some reaction when the band closes out their set with a one-two punch of “Mess Around” and “Ain’t No Rest for the Wicked”, but it’s hard to tell if the audience is responding to the singles or simply the fact that Metallica’s arrival draws ever closer with each song. Opening for a band like Metallica, and the fans who come with them, is no easy task. Cage makes the most of a tough situation and gracefully cedes the stage to the main attraction. Metallica have long called the Bay Area home, so it’s somewhat surprising that they played a show in Antarctica before ever headlining the stadium where the San Francisco Giants play. For the past several years, the band have taken part in “Metallica Day” at the stadium during baseball season, and at one point, they opened for the Rolling Stones at the venue, but this concert, dubbed “CBS Radio Presents The Night Before,” marks their first time being AT&T Park’s main attraction. The timing of Metallica’s show, with the Super Bowl scheduled to kick off less than 24 hours later in nearby Santa Clara, is obviously not coincidence. Indeed, San Francisco on this evening is consumed with concerts and parties wedged into every nook and cranny of the city, but for the 40,000-plus fans amassed on a tarp-covered infield, there is not the slightest hint of concern that they may be missing out. A man walks past me, and the back of his t-shirt reads, “Metallica: Too Heavy 4 Halftime.” After blazing through opener “Creeping Death”, James Hetfield uses the phrase himself, reiterating what Hammett says to me during our interview: Why play the halftime show when you can play a full-out concert instead? While one can easily see Coldplay, the official halftime entertainment for this year’s Super Bowl, selling out AT&T Park as well, it’s hard to envision the fans in the crowd being nearly as dedicated to the act onstage. When giant, brass bells begin to ominously swing from the four giant screens behind the stage, the crowd goes wild. As the band works through a setlist that includes staples like “For Whom the Bell Tolls”, “The Unforgiven”, “Master of Puppets”, and “Seek & Destroy”, the fans seem to know what’s coming before Hammett strikes a single note. When he does rip into a song, though, look out. What Hammett does with a guitar should be illegal. His skills are especially in the spotlight during extended solos that follow “Ride the Lightning” and “Battery”, his fingers methodically cascading down the neck of his instrument at breakneck pace while still maintaining the utmost precision. It’s mesmerizing to watch, and whether or not the sounds that come out of his guitar are what you’d choose to listen to on the drive home for work, there is no denying this man’s rightful place in the pantheon of guitar legends. When I ask him, after being in Metallica for over 30 years, what goals, if any, he still has left, Hammett has his answer immediately at the ready. With Hammett’s drive, it’s hard to bet against him. By the time Metallica hits the finals notes on “Enter Sandman”, the last track of a three-song encore, and a battery of fireworks are launched into the sky from a boat in neighboring McCovey Cove, the band has been onstage for over two hours. Trying to find one person who wouldn’t be willing to stay for another hour or four would be no easy task. After all, once the show ends, we all must return to the manufactured mayhem of a city awash in corporate promotions, pop-up shopping centers dedicated to an event that isn’t even taking place here, and updates on where precisely in San Francisco Justin Bieber is currently skateboarding. But for as long as Hammett holds those final notes — Hetfield growling into the microphone and Ulrich abusing his drum set — we are somewhere else entirely.